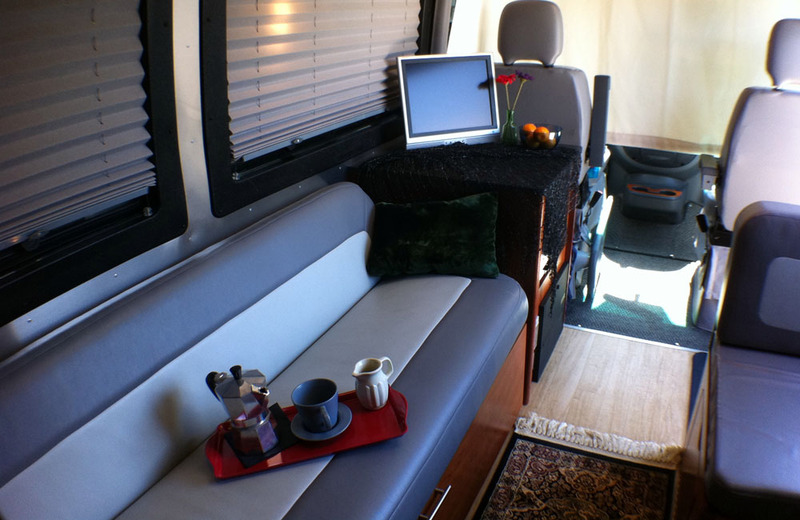 About Airstream Coach: The Interstate is an elegantly designed Class B Coach. It combines the very best of two top-line, classic brands: Airstream and Mercedes. A “Swiss Army Knife on Wheels”, if you will. We can customize the features and setup to suit your needs, be they business or personal. 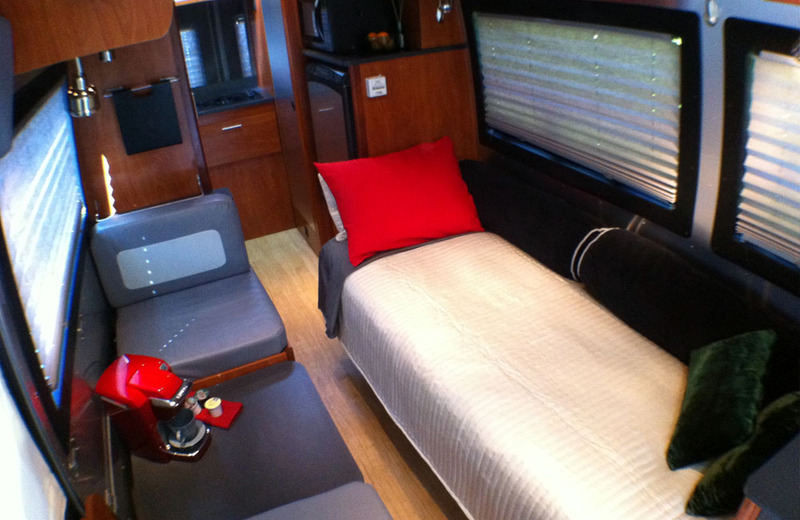 The coach is available for rent as a Mobile office, Touring/Sightseeing Coach for day use, or as an upscale, streamlined camper with full hookups. Our vehicle is maintained impeccably, both inside and out. We perform complete custom prepping and detailing before each rental. 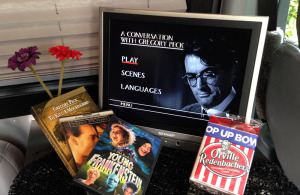 You can use the coach to entertain business clients; host small meetings most anywhere; or use it as a portable green room for shoots and location productions. Special Events? 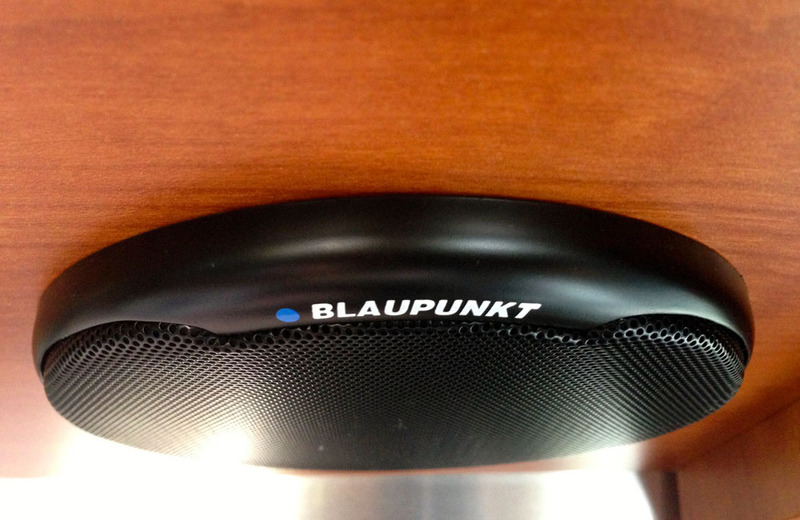 Provide your guests with easy, portable comfort at your favorite sport or music functions! Similar new units are costly. 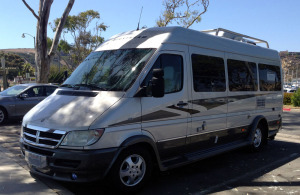 Many 2015 Luxury Sprinter RV’s sell for over $175k. Because of this pricetag, rental units are nearly impossible to find. Here’s your opportunity to experience the Airstream without having to purchase one. And, if you really are dead set on purchasing a similar coach, used or new ~ be it Airstream or one of the other Sprinter brands; please consider testing one out first! Call us and make a reservation. Hit the road, and try it out and get a true feel for the vehicle. Be sure the Airstream is right for you. I am convinced that once you have rented our coach, and like it, you will discover the superior benefits of renting versus buying. There are no hassles of storage, maintenance, depreciation, insurance, etc. Just rent one when you need it! If you are interested in multiple rentals, please inquire about repeat customer plans and incentives. Once your first rental is completed, you will qualify for streamlined service, last minute “gap” rentals and loyalty discounts, making your experience more cost effective. 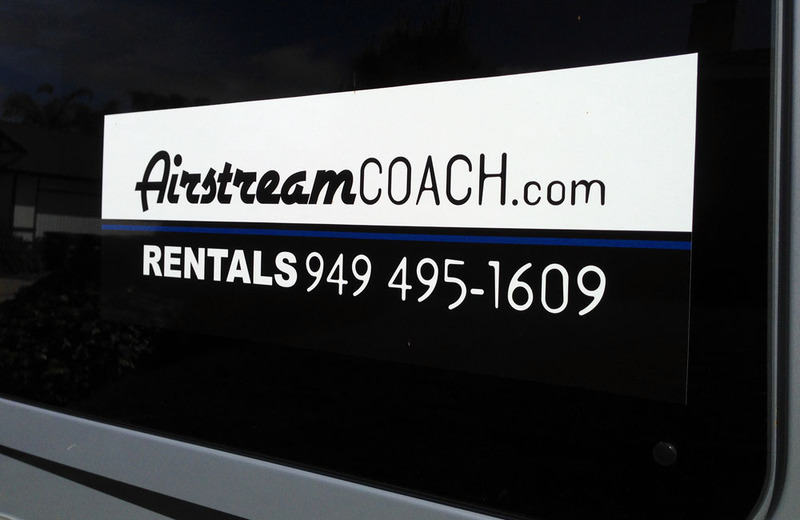 You will receive your rental, fully cleaned, appointed and ready to go; custom prepped just for you — every time! Pick it up and go! Drop it off when you are done. Door to door delivery options are also available. If you are not looking to buy, but simply shopping around to compare rental companies, please consider Airstream Coach. Take a look at all the inclusions that come with your daily rental fees. 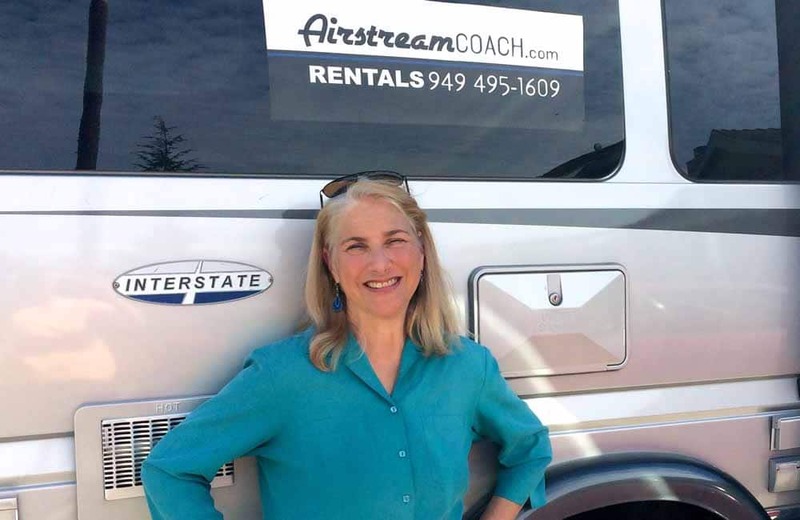 You will quickly discover that our rates are on par or better than the clunkier, gas guzzling RV’s leased out by the national rental 1-800 companies. Don’t compare apples and oranges. If our prices seem higher, that may be because loads of features are already included. We don’t hit you with a series of unexpected costs, later on. Beware of the fine print and fees other companies may charge. With us, standard rentals include: 100 complementary miles per day, first tank of propane fuel, standard cleaning and custom amenities. Specialty add-ons are optional. Plus, chances are you are renting a more clean, elegant & efficient vehicle than is typically available. A better quality rental overall. We want you to know, up front, both what you will be paying and what you will be getting in return. Finally: Fuel Savings. Please consider that your fuel expenditures may be half what you would spend with a typical boxy RV rental. The Sprinter coach averages 20+ mpg (diesel) on the open road. Larger rigs often get only around 10 mpg. This is a major topic of conversation around many a rv campground firepit, amongst rv owners! 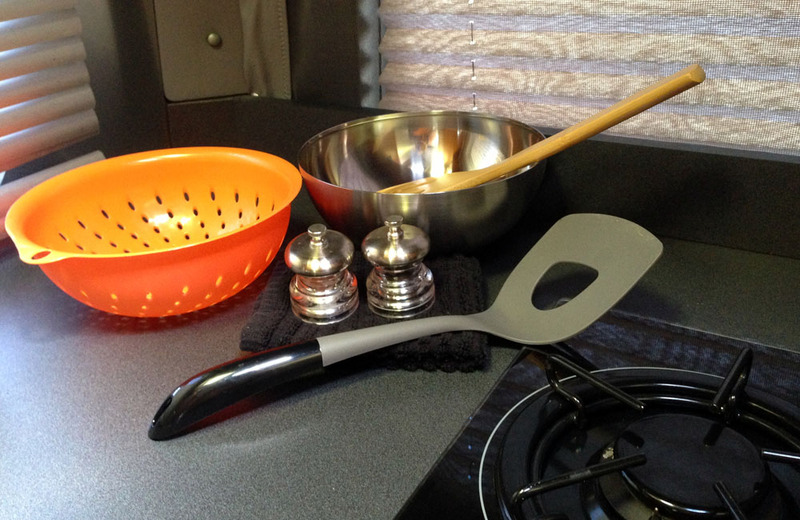 Another wonderful advantage over the larger RV’s is ease of operation. This is a BIG PLUS for many of our clients who don’t want to hassle with a bulky vehicle, tricky parking, etc. The Sprinter handles more like a car than like a truck. It is longer and taller than a typical car or SUV, but nearly as easy to drive, maneuver and park. Passengers sit higher up for great views! And the driver can navigate with ease, with a good view of the conditions ahead. The systems are well designed, user friendly, and convenient. You’ll receive full instruction on how things work when you come for your first rental. You’ll be an expert in no time! If not, staff is available to answer your questions from the road. Airstream Coach invites you on-board the Airstream Interstate! Join us for our third season of rentals here in Southern California! We hope you’ll become part of our community of loyal clients, knowing that you can count on an excellent vehicle and top notch service, every time! All inquiries are welcome. Submit your rental dates or questions to us HERE. Or call 949 495-1609. 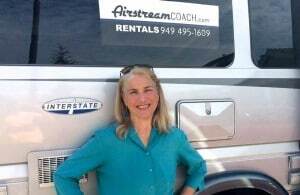 It is our firm commitment to help make your Airstream rental experience as wonderful as it can possibly be!